A look back at the most popular articles shared on Plantae social media in 2018. Plantae Social Media Interns Katie Rogers and Juniper Kiss have been reviewing the 2018 stats. Previously they shared the most popular posts overall. Here, they share the posts to research and review articles that got the most responses on the social sites. Enjoy! Ferns (monilophytes) originated about 360 million years ago, predating dinosaurs, while today ferns are the second most diverse group of plants. 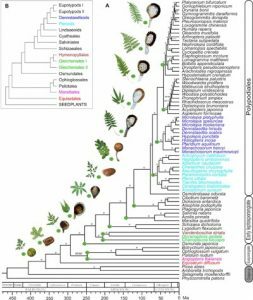 Recent morphological and molecular analyses have shown that ferns are a sister group of seed plants, have approximately 10,500 living species and provide a unique insight into how vascular plants evolved. In terms of genomics, ferns underwent multiple cycles of polyploidy (whole‐genome duplications) accompanied by subsequent diploidization while retaining high chromosome numbers. Before the first fern genome was published in July 2018, Shen et al. used the RNA-seq approach to carry out an extensive phylogenomic analysis of 69 fern species representing all important linages. Previously, fern phylogenetics relied on plastid genes, combined with a few nuclear genes or morphological traits. The results published in GigaScience strongly supported that Equisetales (horsetails) are the sister group to all other monilophytes. The coalescent method revealed that Psilotales (whisk ferns), Ophioglossales (moonworts), and Marattiales (king ferns) form a monophyletic clade which is sister to true (leptosporangiate) ferns. A new evolutionary route of the sporangial annulus (row of cells on the sporangium) in the leptosporangiate ferns is also revealed by morphological analysis. This study provided new insight into fern evolution, revealing the backbone of fern phylogeny before the first fern genome was available in 2017-2018. The arrangement of a plant’s root system in the soil (root system architecture, RSA) changes in response to nutrients through different signaling pathways. It is assumed that RSA adapts to optimize the uptake of nutrients from the environment, but strong evidence is still lacking. 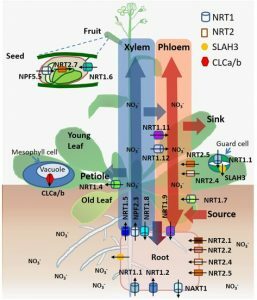 This review by Shahzad and Amtmann discusses the signaling pathways that describe RSA responses to nutrients such as nitrate and phosphate, as well as responses to multiple nutrients. 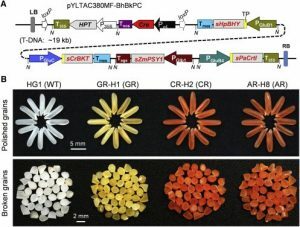 Current research into the crosstalk between different signaling pathways is also described. Understanding RSA could lead to crops better suited for sustainable production on marginal soils. When plants are under attack by herbivores and microbes, running away is not an option. 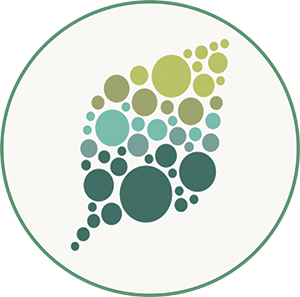 As a defence, plants produce volatile organic compounds (VOCs) that repel herbivores, attract enemies of the herbivores, or alarm surrounding plants; VOCs have mostly been viewed as positive regulators in the plant defence system. They are cues for hormonal pathways, including jasmonate (JA), salicylic acid (SA) and auxin (IAA) signaling, and trigger plant signalling cascades. 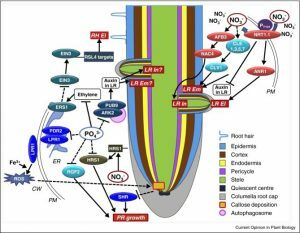 Erb (2018) discusses in Current Opinion in Plant Biology how volatiles might suppress plant defenses through negative hormonal crosstalks and reviews recent findings. As particular VOCs are produced by different stresses (e.g. 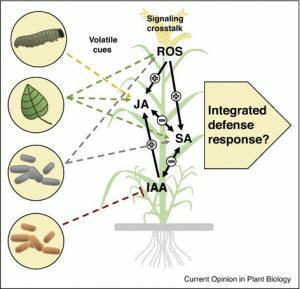 herbivory vs salt stress), signalling crosstalks might integrate multiple cues and either activate or suppress a defense response. For example, maize plants respond to herbivory-induced indole as well as the three green-leaf volatiles (GLVs) by priming the jasmonate pathway. GLVs are specific for plants, but relatively unspecific regarding herbivory, while indole is specifically released by leaves upon herbivore attack. Integrating the two cues can lead to a more ‘customised’ defense response. A less common cue on maize (e.g. (E,S)-conophthorin, goldenrod gall fly male pheromone blend) could also trigger another specific response. While a lot has been discovered about VOCs, there are a lot more questions about hormonal crosstalks and their applicability in agriculture. Plants are not able to move out of their neighborhood if they are unhappy, but they are capable of recruiting and assembling a community in which they are able to thrive. Plants are also able to initiate defense when they sense that threats are near. To keep tabs on their neighbors, plants utilize both physical and chemical signals. Based on these signals, plants are able to respond. 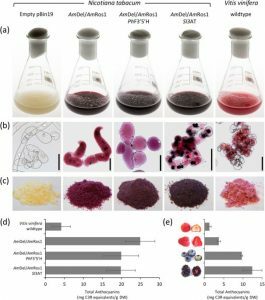 In this research, the authors were interested in understanding more about soil-borne chemicals involved in belowground signaling. 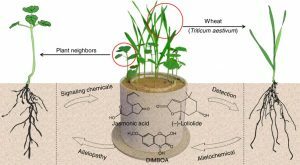 They provide evidence that wheat can respond to at least 100 other plant species via belowground interactions and show that when wheat plants detect (-)-loliolide and jasmonic acid, secreted from the roots of a diverse range of species, they respond with chemical defenses. This publication has many beautiful images of flowers and provides a detailed guide that researchers can use to statistically analyze corolla shape and structure. Part of what makes the flowers in these pictures so beautiful to our eyes and encourages us to hit “share” is their symmetrical designs. However, symmetry is useful for more than just looks. 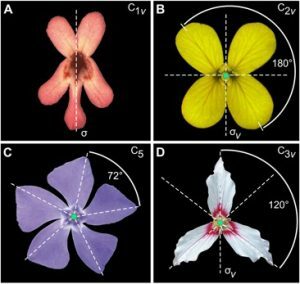 Plant-Pollinator interactions, shifts from outcrossing to selfing, plasticity, and response to biotic and abiotic stresses are all influenced by symmetry and therefore various types of arrangements have evolved in flowers. In this paper, Yoland Savriama uses four case studies to illustrate and describe the types of symmetry that can be found in corollas. For each example, Savriama shares a step-by-step guide and completes full statistical shape analysis of corolla type using R.
This toolkit is especially useful for botanists interested in understanding the role of symmetry/asymmetry in angiosperm evolution and developmental biology, but will also be useful for any plant scientist interested learning more about fundamental genetic, developmental, and environmental determinants of shape variation. The term “phyllosphere” refers to the world of microbes that interact among themselves and with their plant hosts above ground. In this review, the authors explore what is known about this interesting habitat and how abiotic factors, especially light, influences the interactions and survival of its residents. In general, light is detrimental to phyllosphere microorganisms, however, some groups are able to harness the power of light and use it for energy. In this paper, the effects of full light spectra and narrow bandwidth-wavelengths from UV to far-red light are discussed. 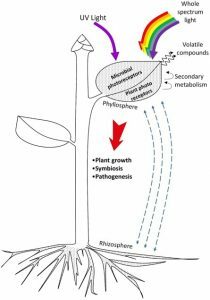 This paper provides a nice overview of what is known about plant-phyllosphere, and provides an interesting insight into future directions for continued research in this area.